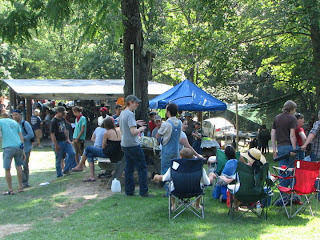 On Saturday, July 2nd and Sunday, July 3rd, the annual Mountain Keepers Music Festival will be held at Kayford Mountain's Stanley Heirs Park. 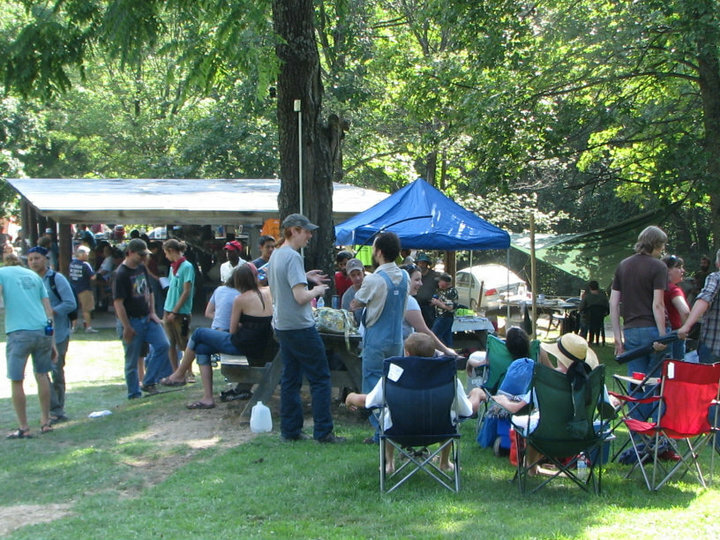 The two day event will feature then local and regional musicians playing a variety of bluegrass, gospel, country and old time music, as well as poetry, and pot-luck meals. This is a free concert that will celebrate Appalachian life and attendees are encouraged to bring a covered dish. The purpose of the concert, according to local citizen activist Larry Gibson, is to “bring family and friends together for a weekend of celebrating West Virginia’s heritage and freedom." July 2 and 3 will see people from all walks of life, bound by their common love of our mountains and people. This will be a safe festival as festival organizers will have trained security present and all are invited to peacefully enjoy this Festival. The festival will feature many emerging artists who celebrate their homes and heritage. Legendary and Award Winning West Virginia musicians Michael & Carrie Kline will be singing old time West Virginia folk songs and ballads. Crystal Good, 2004 Winner of the Governor’s Innovative Artist Award, of the Affrilachian Poets will also perform her unique poetry. Kate Long, winner of the International Bluegrass Music Association Song of the Year award, will be singing her Appalachian Styled music. Ben Sollee, a renowned celloist who defies convention by mixing in a soulful voice which earned him a place in National Public Radio’s list of Top Ten Unknown Artists in 2007, will be performing on Saturday evening. Following Ben Sollee will be the popular Charleston Rock n' Roll band Almost Adam as well as "Old Style Rhythm & Blues, Gospel Soul & Country Funk" band The Carpenter Ants. Attendees are encouraged to camp out on Saturday night as more musicians will be performing casually around the campfire. Sunday afternoon will kick off with a gospel service and followed by the musical acts of Jane Branham singing Virginia Mountain Music and Country Roots Musician John Lilly. The annual pot-luck meal will also be held on Sunday. While this is a free festival, we are asking you to chip in with a donation to help us cover the cost of maintaining Stanley Heirs Park on Kayford Mountain and put on this Festival. Copyright 2010 Keeper of the Mountains Foundation. Powered by Blogger.